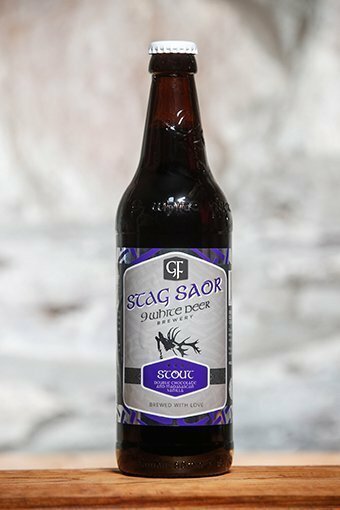 This is a double chocolate and Madagascan vanilla stout, Stag Saor stout is Irelands first gluten free stout, based on the same recipe as our draft stout Lon Dubh but with heaps of cacao nibs and vanilla but this version is bursting with chocolate. This is a rich and luxurious beer with incredible smoothness. The oats we source from Creedons Mill in Macroom give this gluten free stout its silkyness, the cereal bill for this beer is impressive and was the one beer we were most anxious about in certifying gluten free, but we did and we celebrated the result, we were the first, this is the best.